Gibson Motorsport in Australia has just started on a rebuild on the Nissan GT-R that won the 1991 Bathurst 1000 race. The return of Gibson Motorsport build #2 Nissan GTR to the experienced hands of Fred Gibson and Alan Heaphy revives memories of the GMS connection to Thailand business man ( and motorsport fanatic) Prutiral Ratanakul Serireongrith. 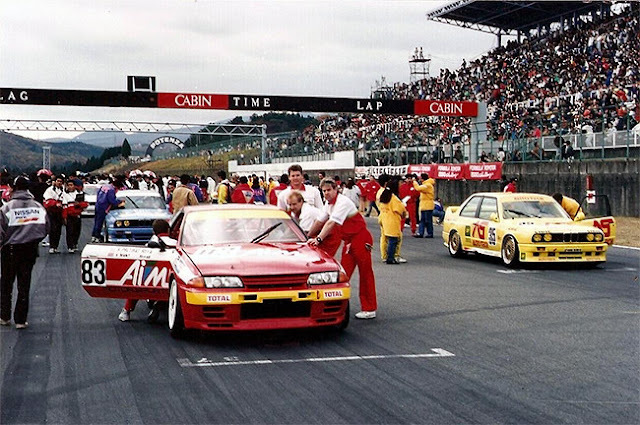 Following the launch of Nissan’s new four wheel drive Skyline GT-R, long time Nissansport competitor and parts importer Bruce Wilkinson contacted Fred Gibson regarding the development of a GT-R for ‘Pharn’ to compete in regional events, including the FIA sanctioned South East Asian Touring Car Championship. Shortly afterwards a Japanese built GT-R race car arrived from Bangkok at the GMS workshop in Healey Road for extensive modifications, using both Nismo and locally developed GMS performance parts, including a Hollinger gearbox. The car was then returned to Thailand where it achieved credible results. Will be looking for some updates and pictures on bringing the car back into its as raced in 1991 shape. This car had already made an indelible mark in Australian motorsport, winning the 1991 Bathurst 1000 in the time of 6 hours, 19 minutes and 14.8 seconds, a record that stood for almost 20 years! On delivery, both Fred and Nissan team driver Mark Skaife travelled to Bangkok to commission the GT-R and provide driver and technical training for the complex car, by now christened ‘Godzilla’ by the Australian media.